​Can a Naturopath Help Me? ​Wondering if you have a concern that a naturopathic doctor can address? Naturopathic medicine is able to meet your interests, either in preventing disease or helping you become as healthy as you can be. Naturopathic Doctors are primary health care practitioners, which means that they can treat many of the same conditions as a family doctor. In the event that a Naturopathic Doctor is unable to treat your condition, he or she will refer appropriately. Most importantly, you will be individually assessed and receive your own comprehensive treatment plan, which you will have the opportunity to thoroughly discuss with the doctor. Botanical Medicine Utilizing the pharmacological and energetic properties of plants. Treatments may include tinctures, capsules, teas, and external applications. 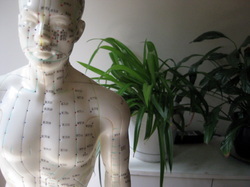 Acupuncture Involving the insertion of hair-thin needles to balance the energy ('Qi' or 'Chi') of the body via meridian pathways that have been used for thousands of years. Acupuncture can be used to enhance general health (via assessment of your general state, along with a Traditional Asian Medicine assessment of your tongue and pulses) or to treat treat local concerns (such as jaw pain). Homeopathy "The fundamental idea of homeopathy is the Similarity (or Similia) Principle: ‘Similia similibus curentur’ (‘Let like be cured by like’), stated by the German physician Samuel Hahnemann (1755–1843) in 1796. This implies that substances capable of causing disorder in healthy subjects are used as medicines to treat similar patterns of disorder experienced by ill people. Hippocrates wrote of curing 'like with like' more than 2,000 years ago but it was formally systematized by Hahnemann. He viewed health as a dynamic process tending to maintain a state of optimum equilibrium. Homeopathic medicines are aimed to direct and stimulate the body’s self-regulatory mechanisms. A second principle in homeopathy is individualization of treatment for the patient. The characteristics of the chosen medicine should be as similar as possible to the characteristics of the illness in the patient. This closest match is called the ‘simillimum’. Similarity may be at the ‘whole person’ level, taking into account the symptoms and signs of the disease, the patient’s physical build, personality, temperament and genetic predispositions. This high level of individualization is not always required: ‘similarity’ may be at a more specific, local level, especially in the treatment of acute conditions."